Will Nunavut's satellite internet service upgrades make enough of a difference? Government officials, industry watchdogs and private businesses all agree: the internet in the Arctic is too slow and if service doesn't get better the North is going to fall further and further behind. The CRTC's 2015 monitoring report shows that on average Canadians download as much as 66.5 GBs per month, but in Nunavut, many of the most popular internet packages available cap usage at 10 GBs per month. Cisco, an American multinational technology company, predicts that over the next three years the average internet speed for North American users will increase to 43.7 mbps. Connecting Canadians, a federal government program that provides funding to internet providers to upgrade service to rural and remote communities, has set a target of 3 mbps for internet speeds in Nunavut and Nunavik communities over that same time period. "I think the fundamental question is one of equity," said Oana Spinu, executive director of the Nunavut Broadband Development Corporation. "Our needs are just like everybody else's needs. The big problem is they are not being met, not by a long shot, and unless things change the situation is only going to get worse." Spinu says because of the low cap on usage Nunavummiut are self-censoring, having to choose their internet usage priorities. One way to increase bandwidth while lowering its cost to consumers is to replace satellite-based internet with fibre optic lines. The Government of Nunavut's Corporate Chief Information Officer, Dean Wells, says it would cost a much as a billion dollars to bring fibre optic lines to Nunavut's 25 communities but argues that, despite the high price tag, it's something that needs to happen. "If you're a commuter sitting on the GO Train in Toronto, you have got more bandwidth coming to your cell phone to watch television on the way home then we do to run all the services for the government here right now," Wells said. According to Wells, the GN has signed a Memorandum of Understanding with Newfoundland that could see fibre optic cable reach farther north in Labrador, then on to Nunavut. The CRTC has kicked off the second phase of a major outreach campaign to better understand the internet needs of Canadians and set standards for service. To do this, it is asking for people to give it feedback via an online survey, a telephone hotline and in select cities, focus groups. "We are trying to get Canadians to participate in this proceeding where we are asking them what they want to have from their telecommunications services to participate fully in the digital economy," said Jean-Pierre Blais, chair and CEO of the CRTC. Blais admits the Connecting Canadians target of a 3 mbps download speed and a 20 GB usage cap might be short of what rural residents really need, but says in order for the CRTC to make any changes in policy, it needs feedback from consumers. SSi Micro provides satellite internet service to every community in Nunavut under the brand Qiniq, and received $35 million from the Connecting Canadians program to upgrade service. SSi's chief development officer Dean Proctor says that as of April 1, the speed and usage cap for its basic package will double to 3 mbps and 20 GB from 1.5 mbps and 10 GB. Proctor says SSi plans to continue working with Telesat to invest in satellite-based services. "SSi has made a commitment to Telesat to purchase capacity on a brand new Ka-band satellite," said Proctor. "It will be launched a couple years down the road and that will in fact provide coverage to all of Nunavut through a new high-throughput satellite — it will be like fibre optics in the sky." In Nunavik, the Kativik Regional Government-owned internet provider, Tamaani, received $26 million from Quebec and Canada to upgrade internet service over the next few years. It recently signed a contract with European satellite operator SES. 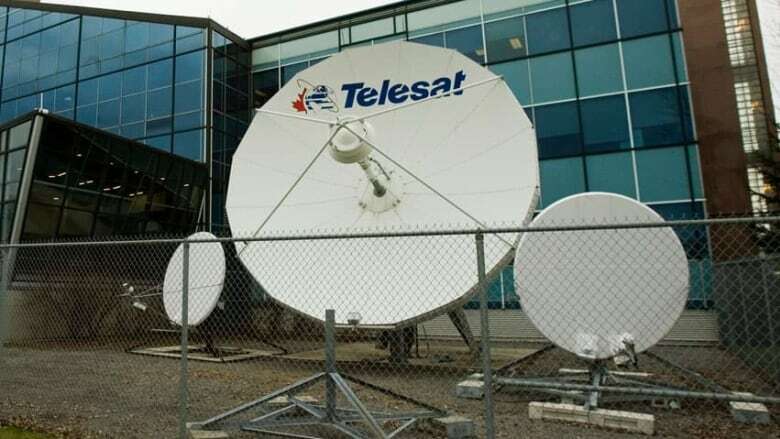 But Jean-François Dumoulin, Tamaani's senior co-ordinator of programs and partnerships, says satellite service is ultimately too expensive and will have to be replaced. "Undersea fibre is something we are continuing to pursue," he said. "But that is an endeavour that will take much longer to do."